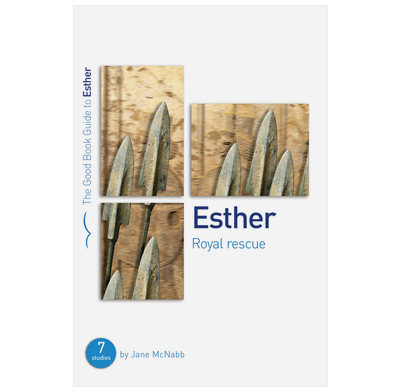 Learn from God's magnificent rescue of Esther and her people that His plans always triumph. There are times in our lives when we question whether God truly loves us, whether He is really in control of the world, whether He knows what He is doing, whether He even notices what is happening to us. These are exactly the kind of questions that God's people in Esther's day must have been asking. Not only were they exiled from their home, the land that had been promised to them by God, but they were facing ethnic cleansing on an unprecedented scale. The story of Esther reveals that whatever the appearances, God is in control. Although the enemies of God and His people are many and powerful, their plans are doomed. God's plans are the ones that will triumph. He delights in answering His people's prayers often in most unexpected ways. As He delivered the Jews of Esther's day from seemingly unstoppable destruction, so He has and will deliver all who turn to Him in Christ. He is to be trusted in all situations at all times. We will be starting this new series in June. In the past we have used other studies from The Good Book Company. I find the general layout and format easy and straight forward to follow, whether one has been a Christian for a number of years or are new to the Christian faith. I think that it is very helpful to be able to choose to study a particular theme or a Book from the Bible. I would highly recommend these studies to any group, they are also suitable for individual study. It is always difficult to produce a study book for groups which will suit all, but this book provides plenty of material and guidance for a competent group leader. My main criticism would be that it includes too many widely varied bible references which take the attention away from the passage being studied. Great Bible study! Some people felt it was a bit leading in one direction and not allowing the passage itself to speak, where others said it helped them see the book of Esther in a different way, a good way. This is the best study guide you will ever get your paws on, it's awesome, insightful, delightful. The author clearly shows in her writing what an amazing man she is married to and his staggering gifts have clearly had a huge influence in her being able to produce something of outstanding quality and substance that he is renowned for.